This is a genuine Durston Classic Jeweller’s chair. The packaging has been slightly damaged meaning that the chair itself can have some superficial marking. However, they are structurally intact and any marking is purely cosmetic. Grab a bargain today! Jeweller’s Chair Classic from Durston Tools. 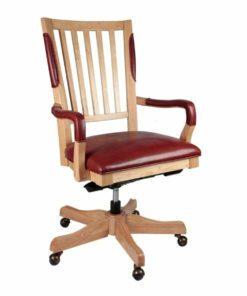 Durston Tools’ work chairs are the perfect partner for your project. The Jeweller’s Classic Chair is our top of the range work chair with ergonomic support to your back and thighs. The high-grade faux leather cover ensures durability as well as comfort and in fact this chair carries an eight hour sit certification. 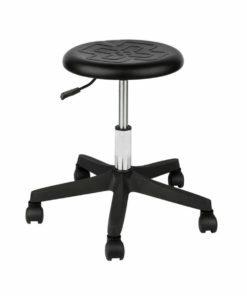 The seat has a flexible lift height ranging from 56 to 75 cm and includes adjustable back support. Also included are adjustable armrests enabling you to adapt to the right working position for your project. This is a genuine Durston Classic Jeweller’s chair. The packaging has been slightly damaged meaning that the chair itself can have some superficial marking. However, they are structurally intact and any marking is purely cosmetic. Grab a 50% bargain today! Durston’s work chairs are the perfect partner for your project. 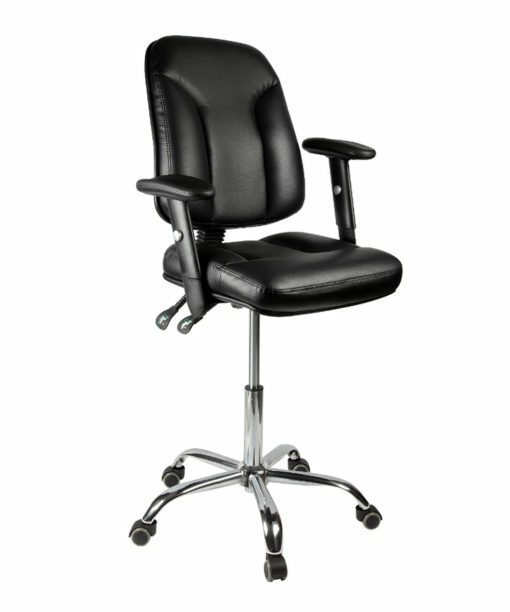 The Jeweller’s Classic Chair is our top of the range work chair with ergonomic support to your back and thighs. The high-grade faux leather cover ensures durability as well as comfort and in fact this chair carries an eight hour sit certification. 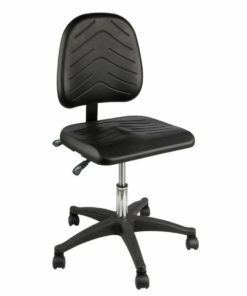 The seat has a flexible lift height ranging from 56 to 75 cm and includes adjustable back support. Also included are adjustable armrests enabling you to adapt to the right working position for your project. In addition, if need be, the arms can be completely removed in a matter of seconds, while the lockable wheels ensure you keep a rock-solid position whatever you’re doing. The Jeweller’s Classic Chair; part of Durston’s award-winning range of products available since 1961.